Sugarland is celebrating the release of their brand new album “Bigger” in a very big way, with appearances on television, at the CMT Music Awards, and Nashville’s annual pilgrimage event, CMA Fest as well as on their “Still the Same” 2018 tour! Check out this hot performance of their latest hit “Babe“, co-written by Taylor Swift live from The Today Show! 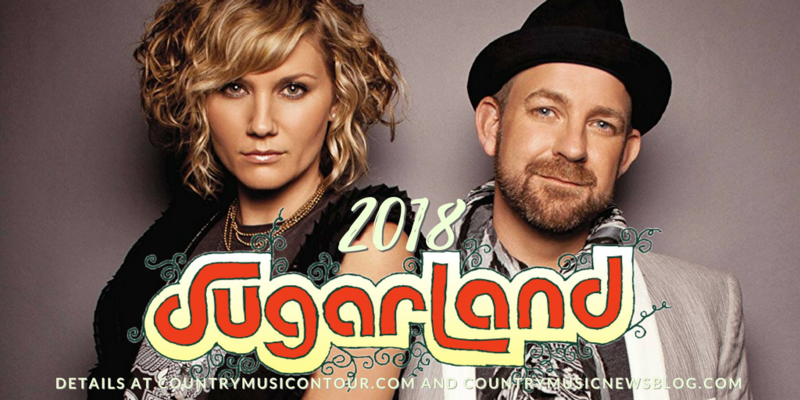 Get Sugarland’s BIGGER album starting today, and visit our friends at CountryMusicOnTour.com for tickets to see Sugarland LIVE! Country Music News Blog participates in advertising programs that help fund the operation of this site. For more information please visit our privacy statement. This entry was posted in Concerts, Featured, New Music, Sugarland by Shauna "WhiskeyChick" Castorena. Bookmark the permalink.